Goebel and Sons Electric, Inc. 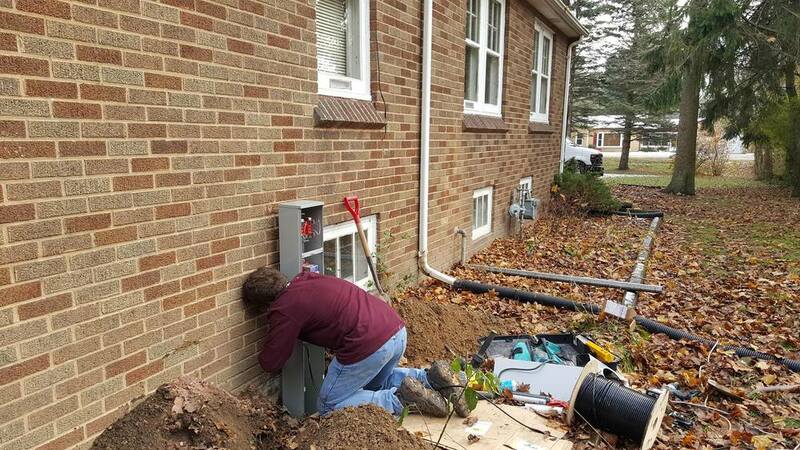 When you need a capable electrician to repair or service your power system, come to Goebel and Sons Electric. Our family-owned and operated business has an A+ rating with the better business bureau, so you can rely on us to provide you with the exceptional customer care you deserve. We provide every client with punctual, first-rate workmanship. 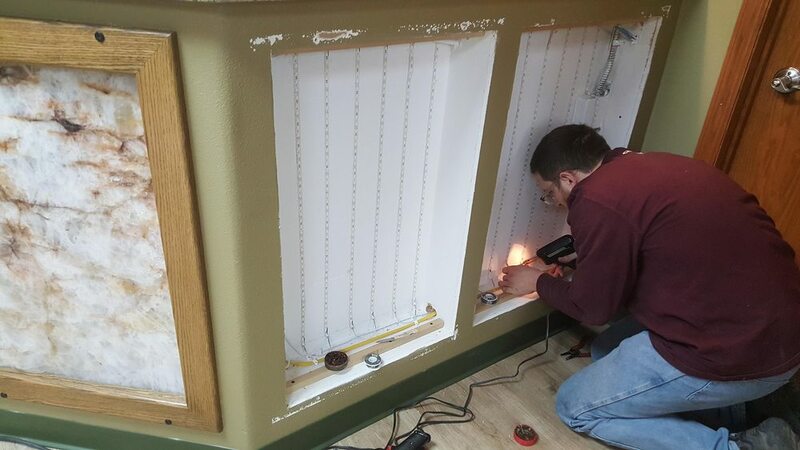 From your wiring to your lights, we can maintain many portions of your electrical system to your satisfaction. Our licensed professionals have over 20 years of experience in servicing both large, commercial systems and small, residential ones. No matter the scope of your job, we'll complete it on time and within budget. All around the Racine-Mt. Pleasant area, we have satisfied customers that we've worked with time and again. From lighting improvements to electrical updates - and commercial products too. No matter the size of your commercial building or home service request - we work with companies and families large and small. Kitchen - With the under cabinet lights on! 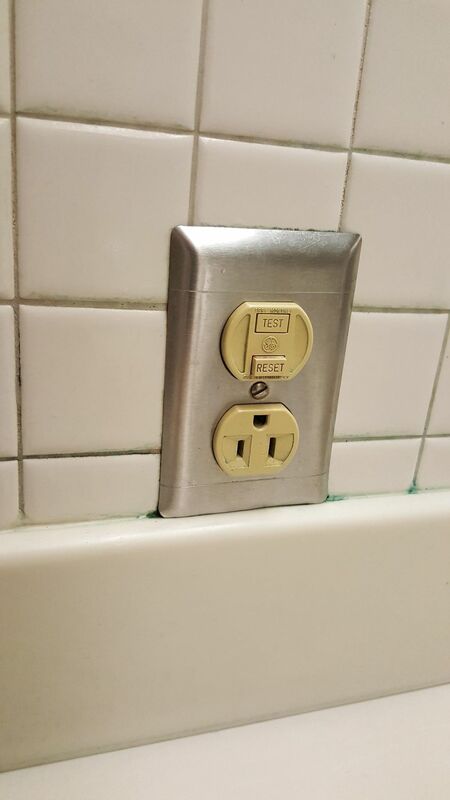 Oldest GFCI outlet ever - Seen at the Brookfield Wisconsin library. We are an all Ford fleet now. Bucket truck to serve all your lighting needs. 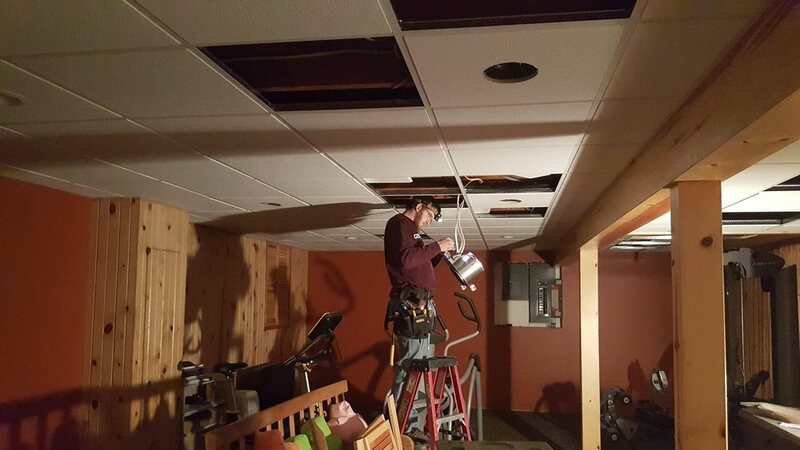 Recess lighting in a drop ceiling - Another LED lighting upgrade to a rec room. LED upgrade - Nice little LED light with a photocell just installed. With the silicone caulk beaded over it they should never need to change it in their lifetime. Soldering skills - LED tape light is supplied with clips that fail often. We solder our connections! No clips. Truthful communication, quality work, execution as promised. 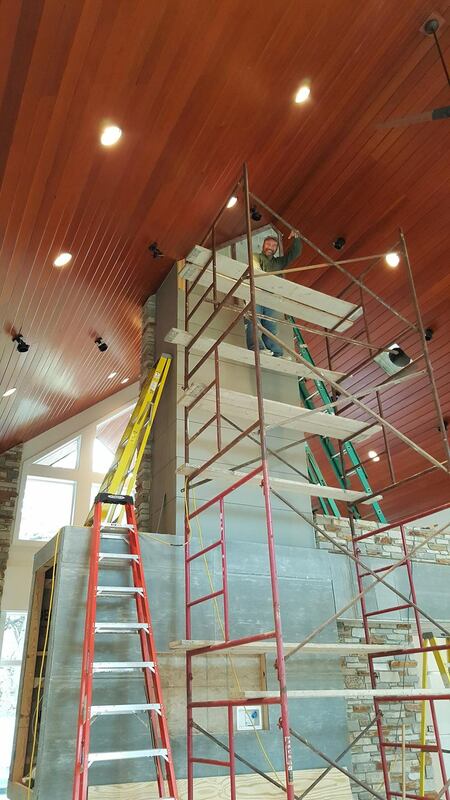 Scott Goebel helped us with lighting improvements and electrical updates during a recent Kitchen remodel. 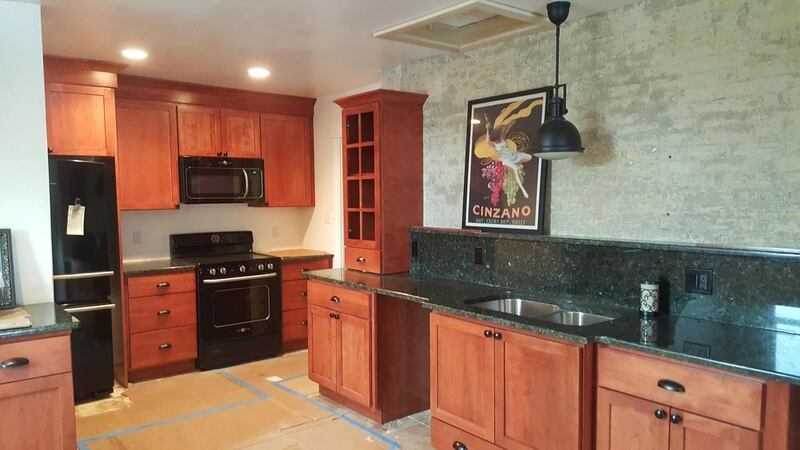 The experience with this contractor was very positive. We told him what we wanted, he made clear proposals for the work and as promised Scott and his son completed the project as expected without delays. 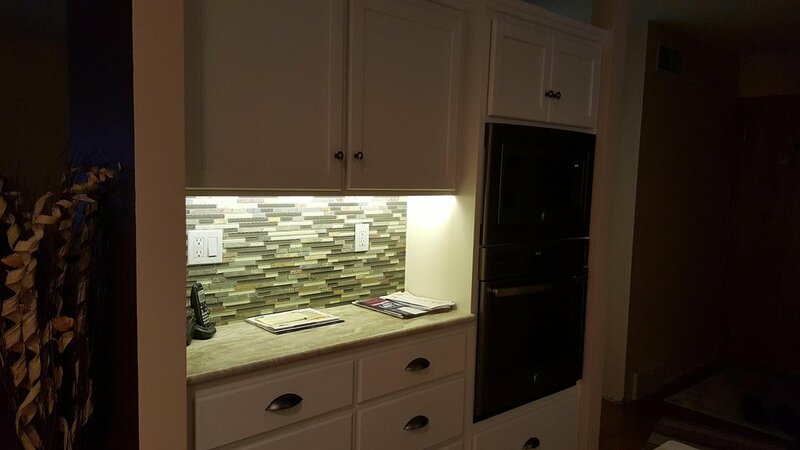 The fixtures recommended and installation were both good quality. Under the counter lighting turned out better than we imagined. We have been a client of Scott for several years now. He has done an outstanding job bringing our family property which was built in 1910 up to current local codes. Communicating with him is so easy, great personality and he was very willing to work within our budget. Never over sold or mislead us in any fashion. 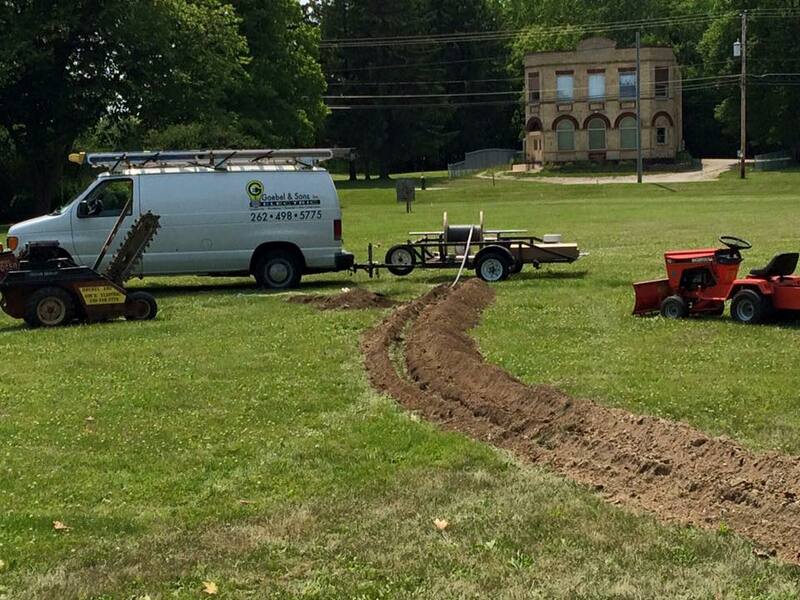 Very difficult and RARE to get GOOD HONEST service in the Racine area, making Goebel and Sons a valuable gem for us! 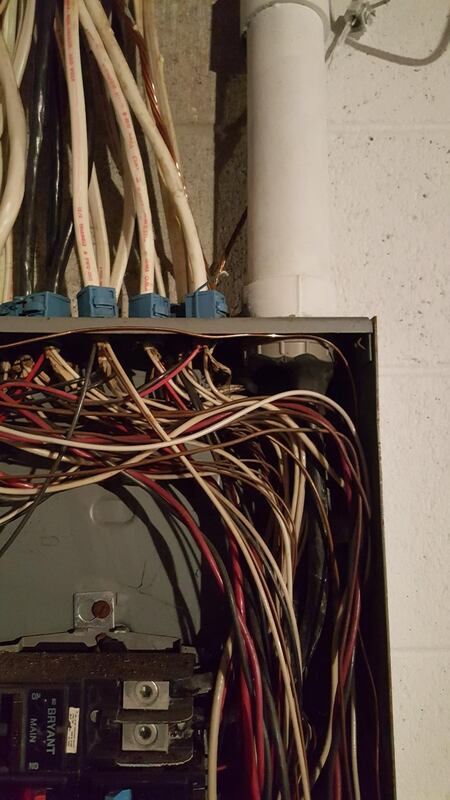 I would highly recommend Goebel & Sons Electric, Inc. They did a great job installing new electricals, fans, lights, dimmers, etc. for my bathroom remodel. They did a nice, clean job and I'm totally satisfied with the results. I especially like the exhaust fan/light they installed, it's very quiet and exactly what I wanted. They were also very patient as I changed my mind a couple of times and they were also very flexible with schedules. Thanks for a great job! Are you a satisfied customer of ours? Tell us here! 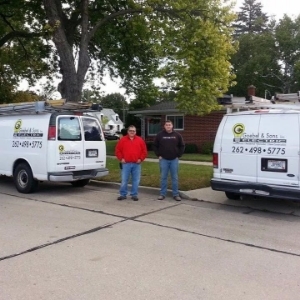 Call (262) 498–5775 to speak with us about your service needs. We are proud to be BBB Accredited since 2013 for 3 years of continuous A+ accreditation.